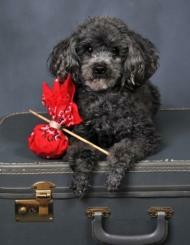 A vacation with your pet means your poodle should have her own suitcase when going on vacation. She'll need certain things to keep her happy, healthy and safe on a family vacation. Pet vacations are supposed to be a fun time for your poodle and the whole family. Packing your dog's essential items and some items you may not have thought to pack can make vacation time stress free for the whole family. So what should your doggy suitcase have? Take her medications, flea or tick medications, a first aid kit, enough food to last the whole vacation, and water (bottled or you can bottle your own from home). Pack some paper plates (or bring her water and food dishes from home), paper towels, towels, a blanket, and a pooper scooper and plastic bags (or sandwich bags for a toy or mini poodle). She'll want her favorite toy to keep her company on the trip and at the hotel or cabin. Also pack a folding crate and baby wipes for wiping her face or paws if they get dirty or get sand on them if you're going to the beach. 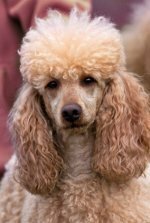 If your poodle has a microchip as identification, write the id number and registry phone number down as well as your vet's phone number. Write your name, your cell phone number and your dog's name on a tag and affix it to her collar. If she gets lost, you'll be notified if someone finds her. Take her medical records and vaccine records along on vacation, too. It's better to have them in case you need to contact a veterinarian on vacation. Taking time to pack essentials for your poodle can leave more time for fun and relaxation instead of going to the store to pick up things you didn't want to pack. 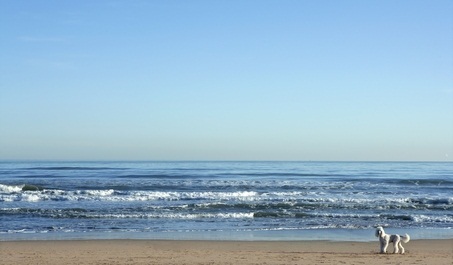 Poodles and owners can have a fun vacation trip together.